These two books on India’s international relations are part of a welcome body of work on Delhi’s engagement with the world. Among the factors fuelling this interest in India’s foreign policy is the growing international perception of India as a rising power. This was inevitable amidst India’s emergence as the world’s third largest economy and the consequent impact on the Asian and global balance of power. Within the country, diplomacy is no longer the preserve of a small elite in Delhi. The globalisation of the Indian economy over the last quarter of a century has vastly increased the numbers of Indians who have a big stake in how Delhi deals with the world. Meanwhile, former Indian diplomats and officials are shedding the traditional inhibition about writing about their experiences in serving the government and contributing actively to the public discourse on foreign policy. The authors of the two books, Aparna Pande and Shyam Saran, come from very different parts of the expanding community of those interested in India’s international relations. Pande works at a Washington think tank. Saran, a former foreign secretary, is now very much the “eminence grise” of the Indian diplomatic establishment. 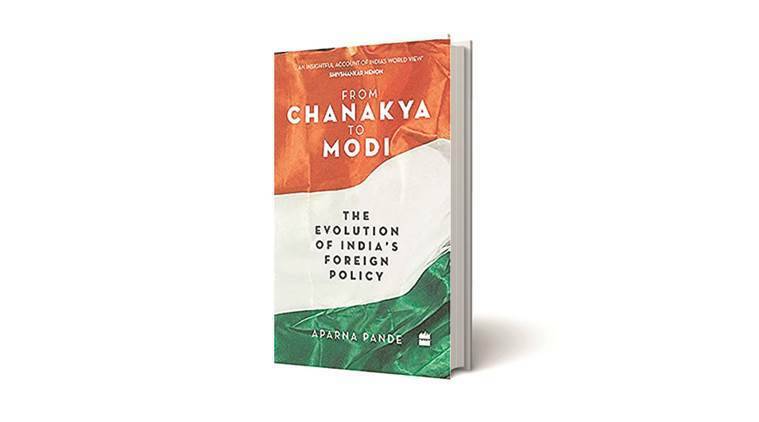 As the reference to Kautilya/Chanakya in both the titles suggests, Pande and Saran both hark back to the ancient roots of Indian statecraft that continue to influenceIndia’s worldview. Both are convinced that a rising India must necessarily play a larger role in the world. While they may not have all the answers on how we might get there, they help us reflect on possible pathways. Pande and Saran bring very different perspectives to the analysis of Indian foreign policy. Pande looks at the role of ideas and individuals as well as institutions and strategic culture in shaping foreign policy. In a valuable schema, Pande identifies four broad influences, whose interplay has defined India’s regional and international trajectory. One of these is the “imperial tradition”, a legacy from the Raj that continues to animate India’s quest for regional primacy and informs its global power ambitions. The second tendency, according to Pande, is a “messianic idealism” inherited from the nationalist movement and defines India’s enduring impulses for moralpolitik. Third, balancing this idealism is the tradition of “realism” that dates back to Kautilya, but is also forced upon Delhi by the difficulty of “being good” all the time in the quotidian world. Finally, the strong streak of “isolationism”, Pande points out, has tended to limit India’s international involvement and tempered its aspirations for a larger role in the world. If Pande’s abstractions help us think through the essential ideas shaping India’s world view, she is also tied down by the volume’s framework. Since her approach is thematic, the constant back and forth on Jawaharlal Nehru and non-alignment tends to distract from the larger narrative. Pande runs out of room to lend a substantive empirical basis for her discussion on the ideas and individuals that contributed to the evolution of foreign policy. Coming from the other end, Saran’s story is more accessible to a larger audience. 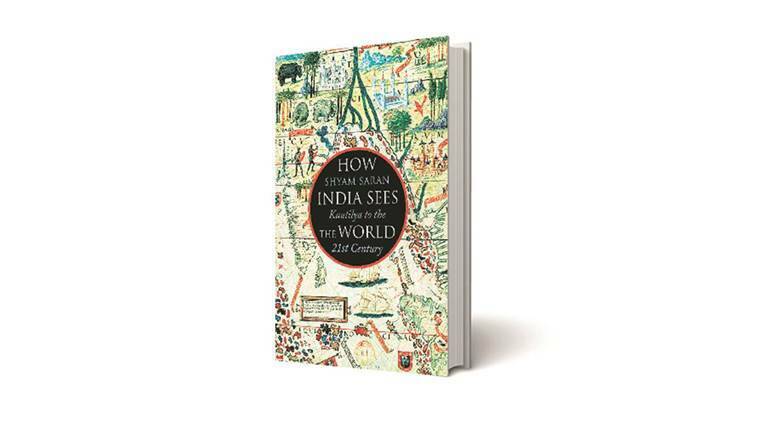 In his part-memoir and part-analysis of the major challenges facing India’s recent engagement with the world, Saran connects more directly with the contemporary discourse on India’s foreign policy. As someone who actively participated in the transformation of Indian foreign policy over the last quarter of a century — he was the point person for diplomacy at the Prime Minister’s Office in the early 1990s, Delhi’s envoy to Mauritius, Indonesia, Burma and Nepal, and, later, India’s foreign secretary and prime minister’s special envoy — Saran has much to tell us about. Saran’s perspective of the practitioner is leavened by his strong belief in India’s exceptionalism and international destiny. His discussion on engaging the neighbourhood and major powers as well as the wider multilateral world walks us from the particular and local to the general and universal dimensions of India’s statecraft. One important tension that Saran delves deep into is between India’s imperative to restore the “strategic unity of the Subcontinent” and the enduring difficulties in promoting reconciliation with Pakistan and deepening South Asian regionalism. As one of our leading China hands, Saran offers an incisive look at the challenges that the rapid rise of the Middle Kingdom poses for us and underlines the imperative of building a multipolar world. “India should not hesitate in promoting and participating in a countervailing coalition to constrain any aspiring hegemon even while it expands its own economic and military capabilities.” Saran’s prescription, rooted in classical notions of balance of power, is difficult for many Indian decision-makers, brought up on non-alignment and isolationism, to appreciate let alone adopt. But Saran and his cohort of Indian diplomats deserve credit, for getting Delhi to experiment, if only tentatively and inconsistently, with Kautilyan realpolitik. As they conclude the two volumes, Pande and Saran look at the long-term challenges for India. While they note the rise of India on the global stage, both turn to the internal weaknesses that could limit Delhi’s international prospects. For Pande, the problem is structural. She believes that India can’t realise her potential for greatness with institutions that were designed for the maintenance of the colonial enterprise. Pande also despairs at the Indian bureaucracy’s inclination towards muddling through and the reluctance to devise a new framework for global engagement. But Saran and his foreign office colleagues, who led the effort to transform India’s international relations over the last decade, have reason to put part of the blame at the door of political leadership that was reluctant to resolve internal disputes and move decisively in favour of bolder foreign policies. Saran points to the missed opportunities with Pakistan and the political difficulties Delhi had in closing the historic civil nuclear initiative with the United States during the UPA government. His concerns about India’s future are deeper. Saran reminds us that “how Indians relate to one another influences how the country handles inter-state relations.” But he is worried that India’s sharpening internal political schisms and deepening social and cultural divides might undermine her international potential.